A fresh look at the art which came out of the 1914-18 War. We have invited the ever popular NADFAS accredited lecturer Jo Walton to take a fresh look at the art which came out of the 1914-18 War. From depicting the horrors of the battlefield to creating posters, photographs, cartoons and camouflage, artists were involved in the First World War in many ways. They reflected the major changes taking place in warfare and on the Home Front, from marching men to munitions factories and from food queues to fashions. They show us the changing role of women and the beginnings of our modern society. While trying to come to terms with trauma, novelty and change, they made fascinating and moving images and monuments that are a compelling testament to their times. 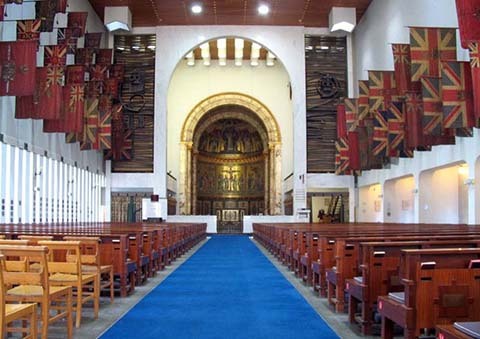 There will also be a lunch in the Museum Galleries, a recital at the Guards Chapel, a curator's talk on the history of the Chapel and creation of Flanders Memorial Garden plus the opportunity to look at the Garden, return to galleries or visit the Toy Soldier Centre.